If you’re looking for a simple Father’s Day card, without puns (nothing against puns!) 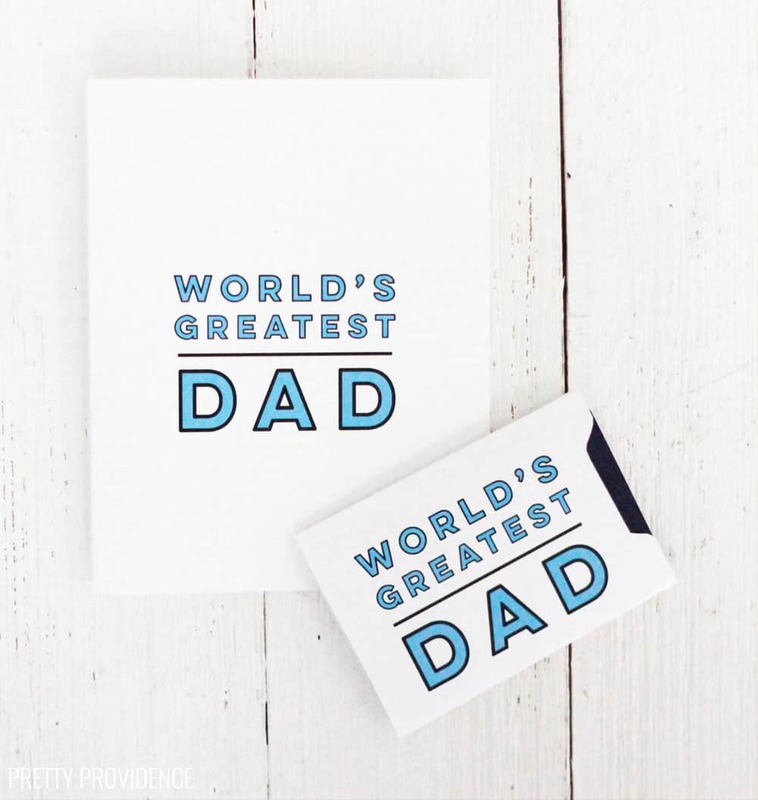 you will love this simple “World’s Greatest Dad” card! Father’s Day is almost here (it always sneaks up on me!) and I’m excited to make a big fancy breakfast for my husband. His favorites are German Pancakes or Crunchy French Toast! We keep these holidays low key as far as gifts, but I do think a nice gift card and his favorite treat is definitely in order. It’s the least I can do for how great a partner and co-parent he is! I love making gift card envelopes that are simple and to the point, so this Father’s Day card is no different. I decided to make a ‘World’s Best Dad’ card that’s really versatile, so there are three ways you can use it. There is the gift card envelope, and a classic, foldable card you can use. 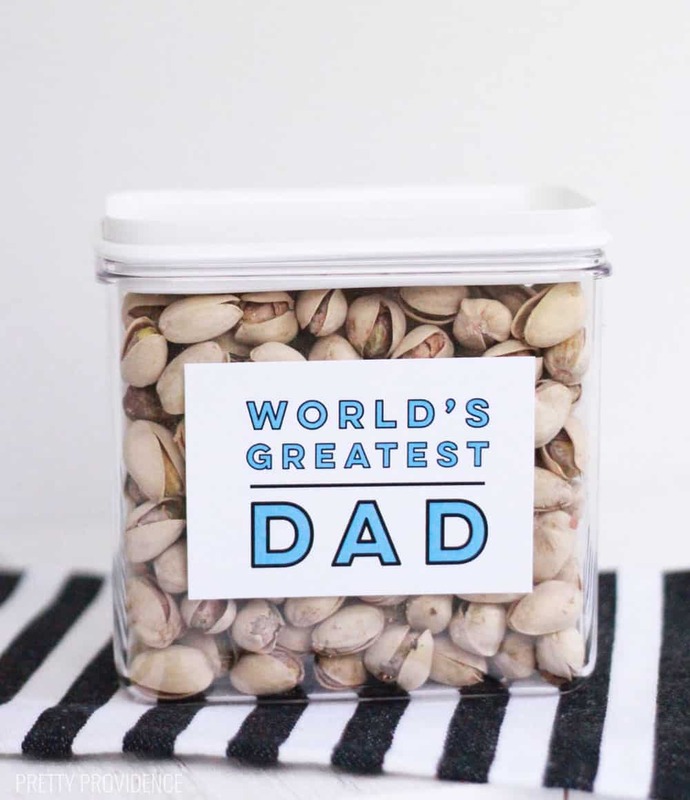 It can also be cut out and used as a gift tag on a jar of Dad’s favorite treats or snacks! Practicality is really important to me, when gifting. 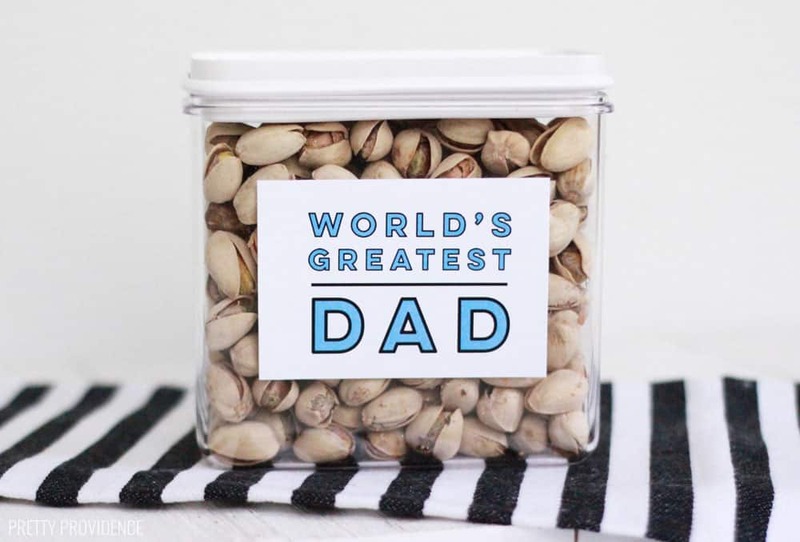 If the Dad in your life doesn’t have an updated amazon wish list and you’re looking for a Father’s Day gift to go along with this card, I suggest this slippers gift idea, or this simple DIY leather keychain. I also love giving magazine subscriptions! 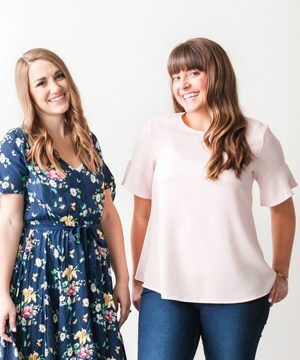 Something like Popular Mechanics, Outdoor Life or whatever pertains, there are tons and you can look through all of the options HERE. Deciding what to write in the Father’s Day card is the hard part here, but I usually go with some big ‘thank you’s’ and a funny quote from a TV show or a happy memory I have with my Dad. Something like that. I hope you can find some use in these cards! If you’ve never printed any of my gift card envelopes before, check out this post for an explanation of how to cut and fold them so that a gift card can be slipped right in!